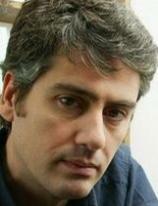 Dario Marianelli (born June 21, 1963 in Pisa, Italy) is a composer of piano, orchestral, and film music. He has composed the soundtracks for The Brothers Grimm (2005) and Pride & Prejudice (2005). He received Oscar nominations for Best Achievement in Music Written for Motion Pictures, Original Score for Pride & Prejudice and Atonement. He has won Best Original Score for the score of Atonement at the 80th Academy Awards and Golden Globe Award for Best Original Score. He has collaborated with Joe Wright three times, on Pride & Prejudice, Atonement, and The Soloist.